Miss Maggie saved up her birthday money as well as having a big sale to earn the purchase of a CNC woodcutting machine! Yah! 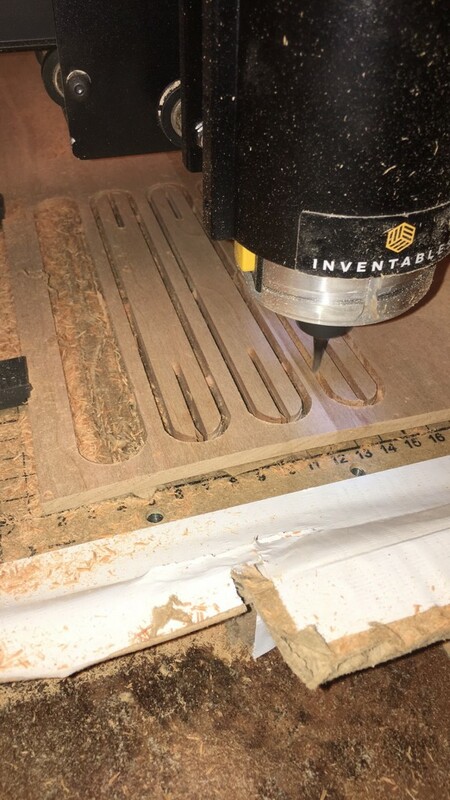 She purchased the smallest Inventibles X-Carve that they offer to give it a try. The goal is to have it cut our small needles, shuttles and other small tools that will help to keep Miss Maggie’s fingers and hands safe! She had a very bad cut on two fingers that required a good deal of work to heal and we just do not want to repeat that emergency room and hospital experience again! Thing is… this beast comes pretty much raw. 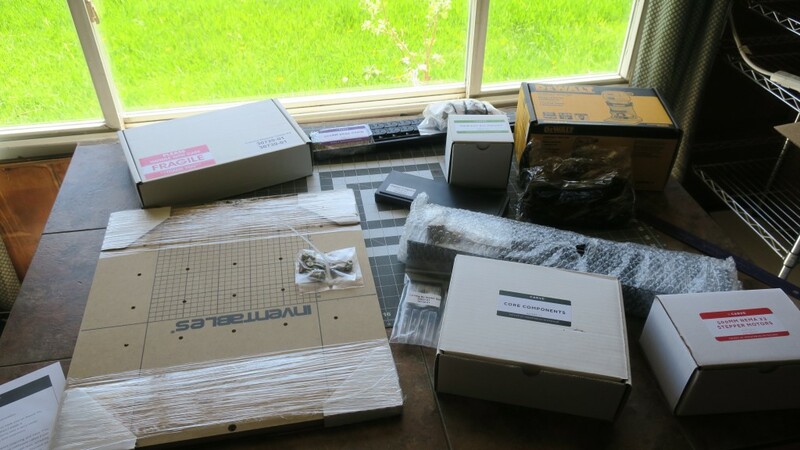 You have to assemble it all. 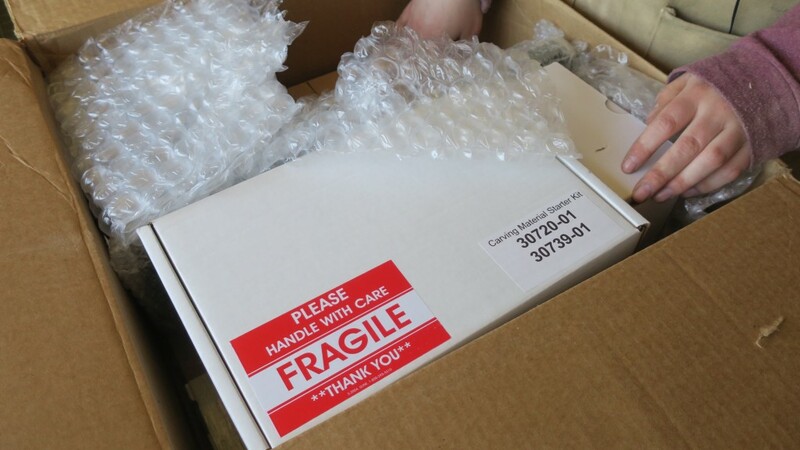 Five boxes! 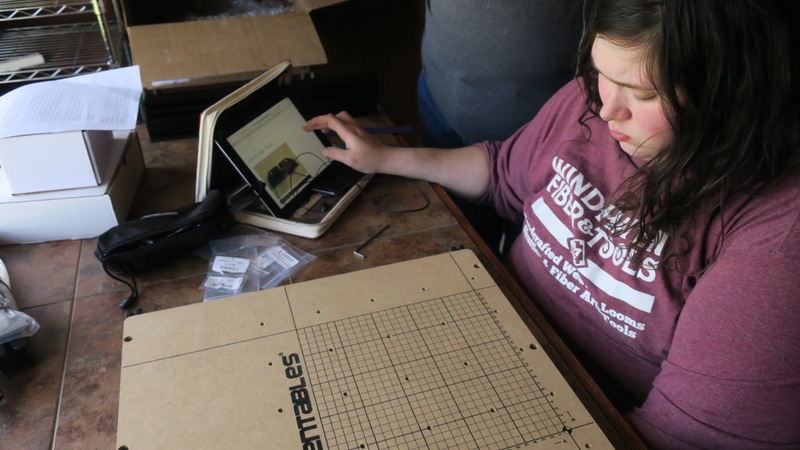 Once they were all here, Maggie sat down with her Ipad and a bunch of video tutorials and began the work of creating her little woodworking friend! It took her about 3 days of work. She was recovering from her finger accident, so it was nice to have something to take her mind off the injury. And when it was done, it worked great! It took a little time to learn how to use it, but it’s so much safer for cutting out these little shuttles and needles. And it can do some really fun other things, too! We sure have had fun over the last year, learning all that it can do to help out. 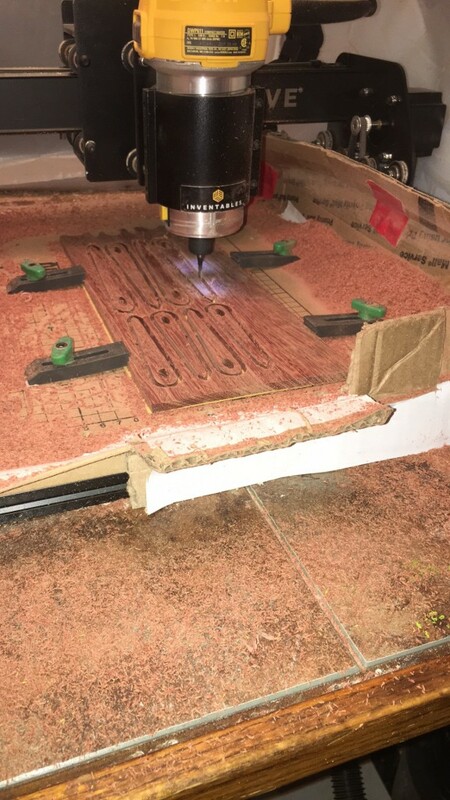 It has easily paid for it’s investment, in fact, it paid itself off in 5 days of dedicated cutting of our tools. We hope to invest in the largest one this coming year! 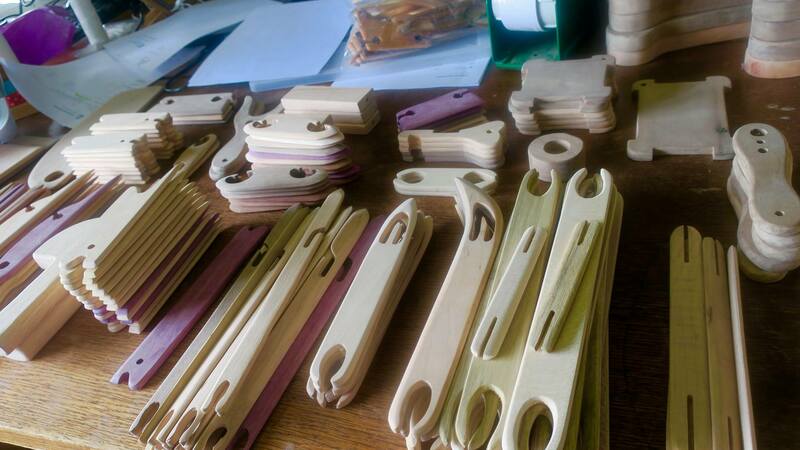 It will be awesome to be able to cut out a whole bunch of tools at one time! And to expand to some fun things like heddles and other interesting ideas that Miss Maggie and we all have come up with! It just cuts out the basic shape for us, like she would have done with her scroll saw and drill press. 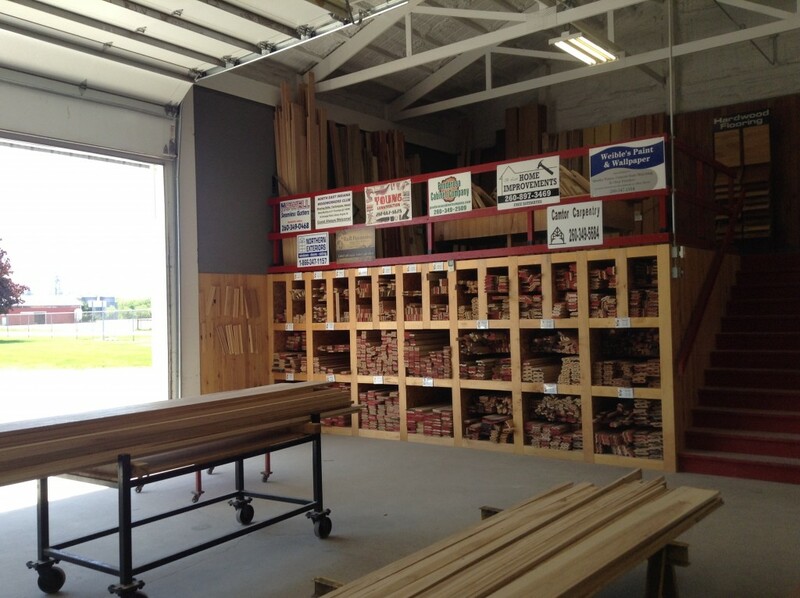 We still do all our shaping, sanding and finish work by hand. We love that aspect of her hand tools. 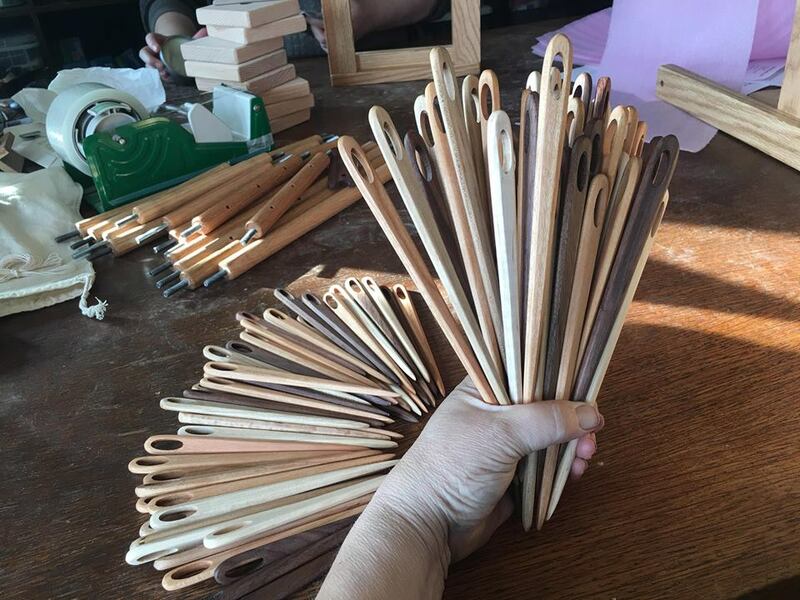 Made by hand with love! 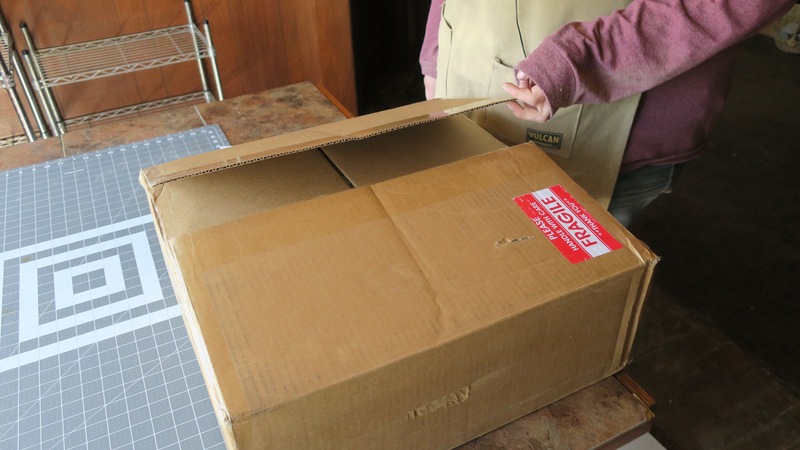 This just is going to help to keep her hands safe and give her a little time to work on the bigger lovely looms and other tools she wants to make! As you might has heard, Miss Maggie’s business has been just going nuts! It’s so wonderful. 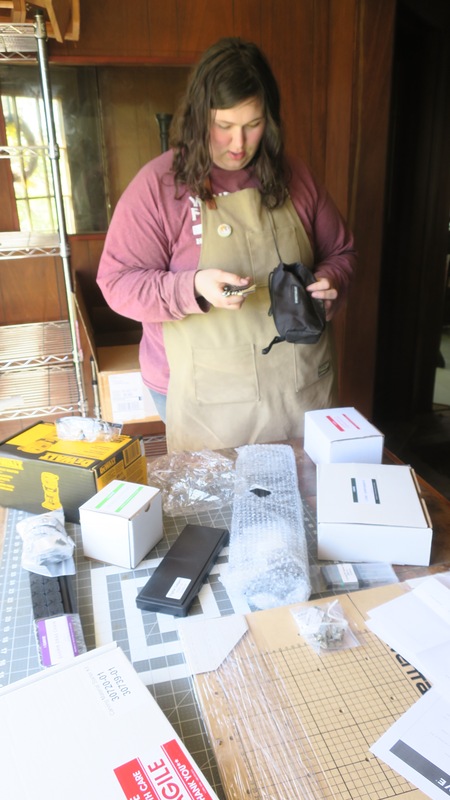 She is making all sort of looms and shuttles and other fiber tools for the weaving and fiber arts community! Just amazing and so rewarding for her. 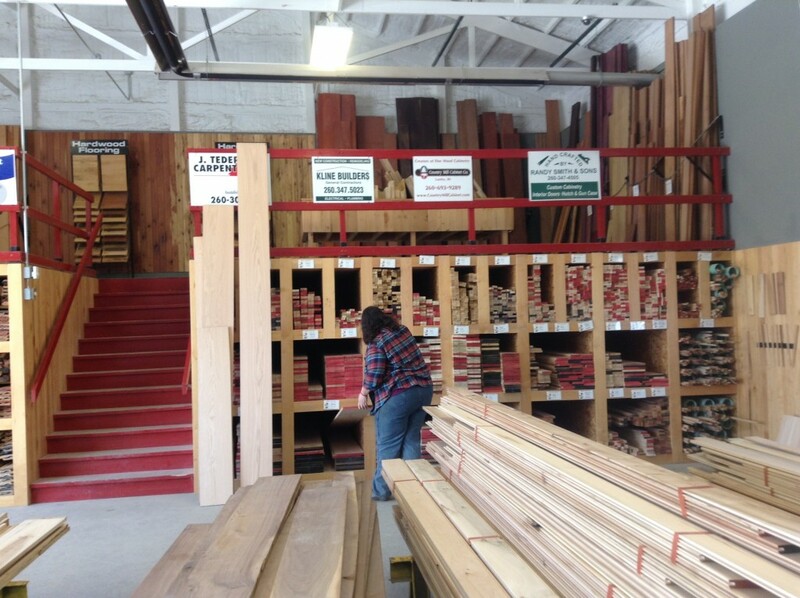 And last spring we found a great new source for lumber in Angola, Indiana… called Wible Lumber and Hardwoods. This was our first trip there and it was just lovely. 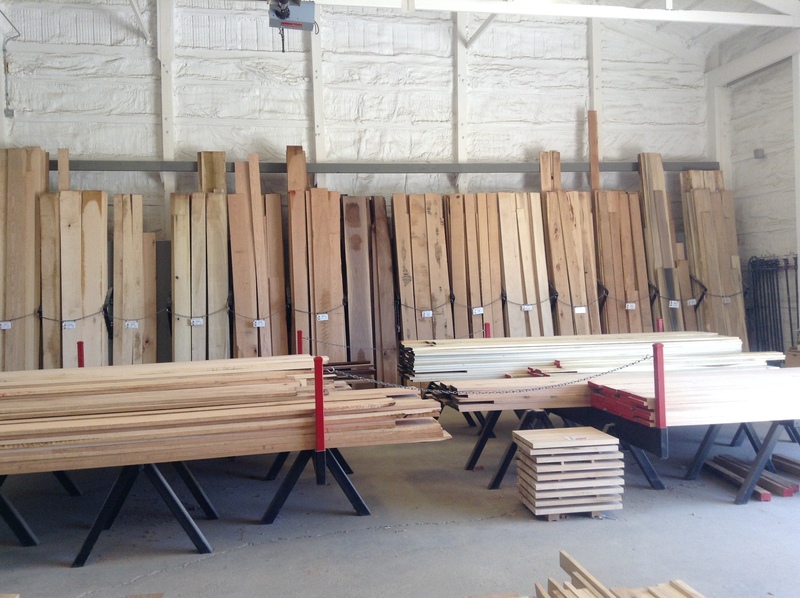 We still love Kencraft for so many reasons, including their friendly staff and advice about all things woodworking, but it’s nice too to have another source when we run Kencraft out of our wide red oaks and other lumbers for the looms. And Angola has a Menards, Walmart and Joannes as well as an Aldis and Tractor Supply, Hobby Lobby and more! It’s just fun to mix it up a bit when doing errands! 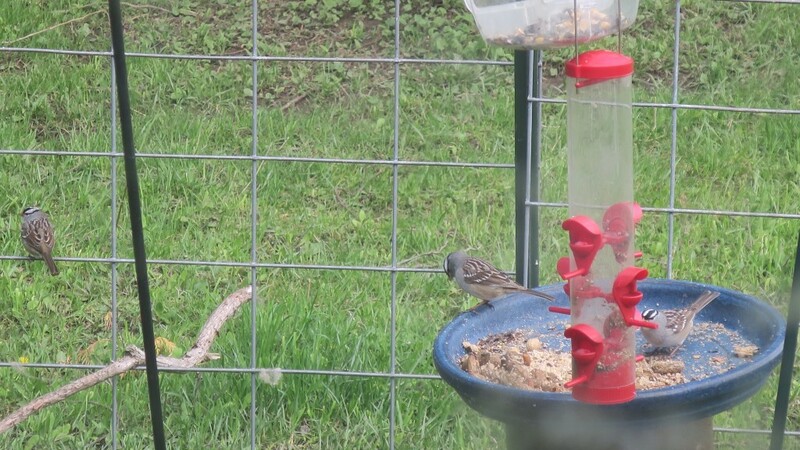 Right outside my office, I have all my bird feeders. It’s a perfect place to sit and watch them come and go. I just love feeding birds and watching them as well. I suppose that is why I love chickens so much, too! It’s good to have a camera handy as I captured a few of my common visitors. 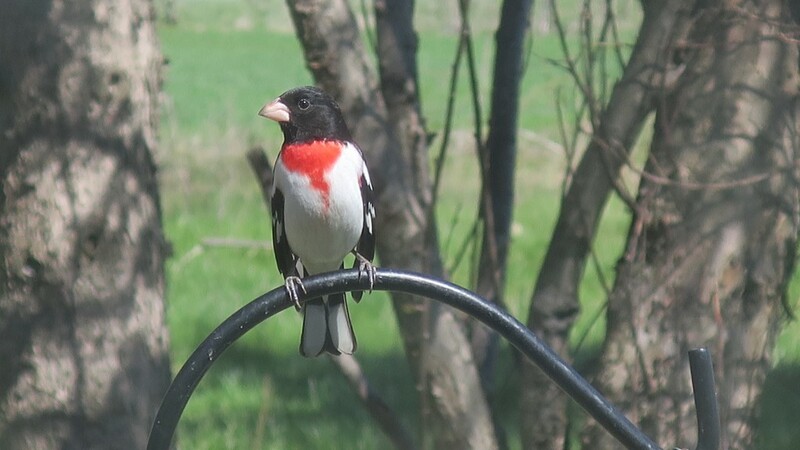 I love this red breasted grosbeak! He was a very frequent user of my feeding stations! 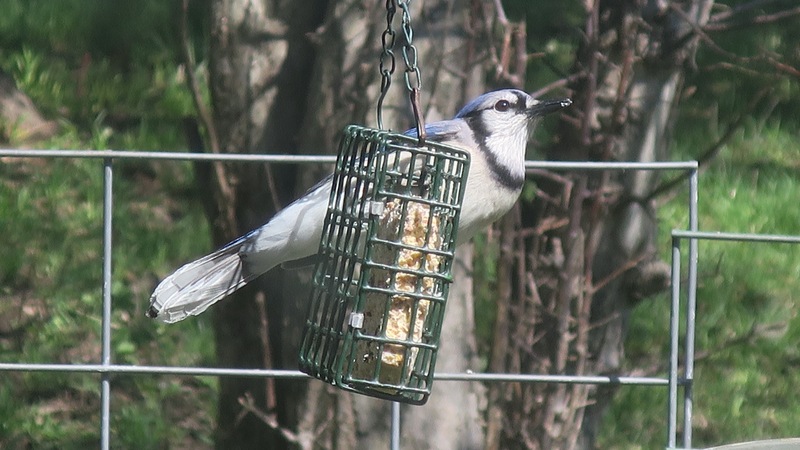 Bluejays are some of my favorites and I usually put out a lot of peanuts for them to enjoy. 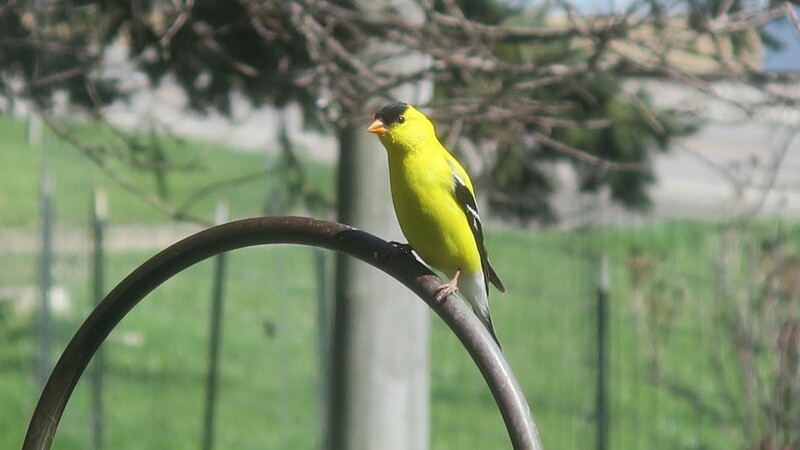 But we also have a lot of goldfinches, cardinals, sparrows and other beautiful birds. Several woodpeckers as well and just recently, a great horned owl has made a home in our tall pines in the dog yard! Quite the busy little aviary around here!! !